A new law raises the legal age for purchasing tobacco in Massachusetts to 21, as of Dec. 31. Tobacco retailers have mixed reviews for a new law that raises the legal age for purchasing tobacco in Massachusetts to 21. The law standardizes the minimum age across the state, where more than 170 municipalities, including Boston and Worcester, had already raised the age above 18. Ryan Kearney, general counsel for Retailers Association of Massachusetts, said the group supported the statewide approach to raising the tobacco age, because the “piecemeal” approach of individual city ordinances was costly and created competitive advantages for retailers in places with 18-year-old minimums. Nonetheless, he said the law creates a disadvantage for Massachusetts retailers compared to out-of-state markets, especially for businesses situated near the border, and with the online market. “Raising the age to buy tobacco products in the Commonwealth is an important step to prevent addiction for young people and encourage healthy choices,” he said. State Representative Kate Hogan, who sponsored the bill in the House, said in a statement that the law was “vital” for preventing addiction and noted its business impact. “It is also critical to create one standard for our small businesses across the Commonwealth,” she said. Kearney also criticized the law’s restriction on selling tobacco products in “health care institutions,” which includes retailers with pharmacies on their premises. He said it creates a disadvantage for those sellers because legal-age consumers can go elsewhere to buy tobacco. “It’s a government-imposed burden that’s picking winners and losers in a very competitive market space,” he said. The law also applies to electronic cigarettes and other devices that vaporize or aerosolize nicotine. Additional provisions prohibit smoking on school grounds and require tobacco products to be sold in child-resistant containers. The law also requires tobacco retailers to post signage about smoking cessation in their stores. Thomas Briant, executive director of the National Association of Tobacco Outlets, wrote to Baker before the bill-signing calling on him to veto it in its entirety, or specifically remove the sections that require posting cessation signage, and prohibit pharmacies and retail stores with pharmacies from selling tobacco products. He cited a federal act he said preempts a state requiring signage and pointed to a lawsuit against a New York City cessation signage requirement. Briant also wrote that because the law prohibits only purchasing tobacco under 21, it does not stop tobacco possession or use for people underage, and fails to eliminate “social sources” of tobacco like over-age peers. “All the law does is take away the right of 18-, 19- and 20-year-old adults to purchase legal tobacco products when these same individuals can vote, serve in the military, take out a loan for school, get married, run for public office, enter into contracts, and make decisions about their own health care,” Briant wrote in an e-mailed statement. The law fines those who sell tobacco and rolling papers to people under 21, but does not impose fines on those who are caught purchasing them underage. Kearney said Massachusetts retailers had hoped there might at least be a parent-notification requirement or some consequence to young consumers who are caught violating the law, but it was not included. 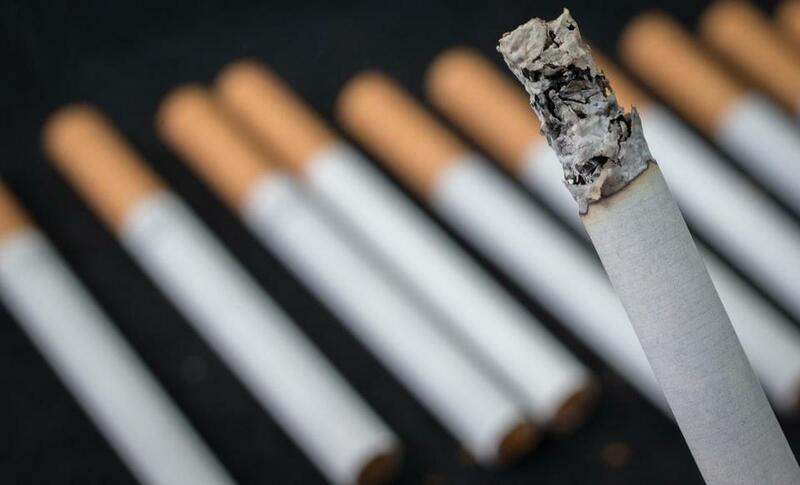 Michael Seilback, an assistant vice president at the American Lung Association, said the group was “very excited” about the new law and opposes penalizing young people for possessing tobacco on the grounds that research has found it to be ineffective in lowering smoking rates. He called Massachusetts’s law a model for the rest of the country and said the group has been working for about three years at the state level to get it passed, after it was successful helping bring minimum age increases to many cities. “This law is going to protect young people from beginning a dangerous addiction to tobacco products, and it’s going to protect Massachusetts citizens from exposure to e-cigarette emissions,” he said. Hawaii and California were the first states to set the statewide minimum age at 21, with New Jersey, Oregon, and Maine following suit last year. A number of other major municipalities, including New York City, Chicago, San Antonio, Cleveland, and Minneapolis, have also raised their minimum tobacco purchase age. Massachusetts’s law preempts cities from raising the minimum age above 21, another provision Kearney applauded to help maintain consistent competition across the state. The law will not apply to 18-year-olds who reach that age by Dec. 31 of this year, unless they are within a municipality that has raised the purchase age. Nearly 9 out of 10 cigarette smokers first tried smoking by 18, according to the US Department of Health and Human Services. Jamie Halper can be reached at jamie.halper@globe.com.